Holy hell there is just so much going on right now. I just wanted to do a really quick blog post in the midst of all the chaos around me. I'll have to be really quick and despite having so much to talk about. I have a deadline I have to meet by 11:30 that i've only just made a start on. I really just wanted to show off the leggings and fish net crop today! It's a thrown together outfit toped off with super dirty hair and shot at my boyfriends gross but also really cool house. 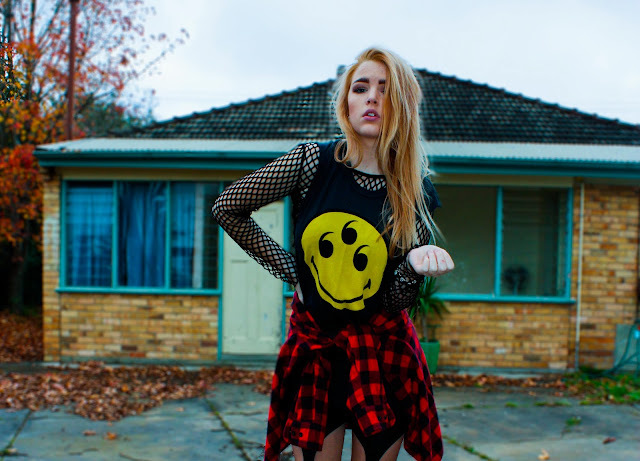 Also if you are reading this you should pop over to everlandclothing.blogspot.com and check out my guest fashion blog entry! It's a banger. This is gorgeous. Love this!